Capturing the most important day of your life is a must and the best way do to this is by having a professional wedding photographer. The wedding photos are probably the most important part of your wedding in Bali as these are the physical memories which last for a life time. Many brides underestimate the importance of having a good photographer. That’s a big mistake as not everyone who has a camera can do good shots. A lot of hobby photographers offer their services for wedding photography to a very cheap price. Even the portfolio seems to be great, you should not consider Bali based photographers who cannot show previous weddings he or she has shot. Good and professional wedding photographers have to have many more skills than being able to use a camera. You can imagine, couples are in the most cases not professional models. That’s why the photographer needs to be able to put you in the right pose and communicate well with you. Furthermore, it is your wedding day which should be joyful throughout the day so the photographer must have be open minded and a fun personality to cheer you up when you are not doing the most comfortable poses for the perfect shot. Last but not least, the greatest indicator which decides if a photo is good or not, is if you can feel the ambience as if you were right there. Weddings are full of emotions and these must be reflected on the pictures. Only professional wedding photographers with a lot of experience are able to make your wedding album full with captures of unforgettable moments. 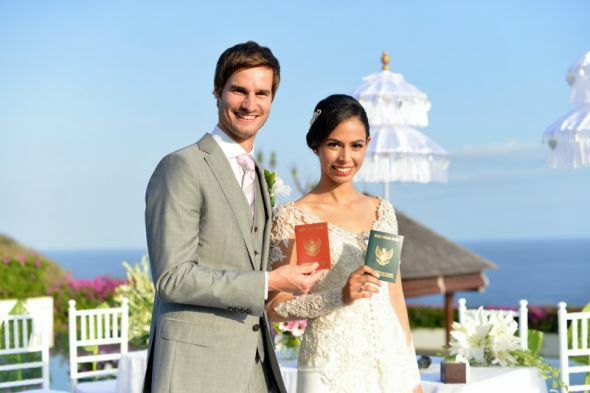 You will be able to find great wedding photographers in Bali for sure. There are many talents on the island but if you are wanting only the best, you can contact us to receive the best options. The best wedding photographers are for us the ones who fulfill all the requirements: being creative, talented, able to catch emotions and the ambience, open minded, flexible, bubbling over with ideas, speak very well English, being an icebreaker, have a big portfolio and lot of experience, have reasonable prices… and many more. We’ve got many expectations in regards to the photographers we use for our clients wedding and happy to offer you best one for your special day!